Investment grade fine wines are produced in small quantities and can rise in value over time. As more bottles are consumed the value of remaining examples increases, mainly due to supply and demand. There is a finite number of bottles produced in every vintage, and for the best returns a medium to long-term view should be taken. As fine wine matures and improves it also becomes rarer and more sought after – which in turn drives prices higher. When building a diversified wine portfolio it’s important to consider how long you would like to store your wines before selling them back into the market. This period of time, often referred to as the ‘hold term’, is the ideal time span to wait before aiming for a return and can vary from one wine to another depending on age, value and demand in the market place, among other variables. A healthy portfolio should contain a mixture wines expected to deliver over the medium, long and extended hold terms. In the fine wine market a medium term is around three years, long term is up to five and extended terms continue beyond the five year mark, sometimes a decade or more. All wines supplied by Cult & Boutique Wine Management come with five years storage, insurance and portfolio management included in the purchase price, so the choice between medium and long term holds should be fairly straight forward. If you decide that you would prefer to store your wines past the initial five years its not a problem but there are costs involved. Extended storage is charged at London City Bond’s standard annual rate. Some wines have the ability to deliver a return across all three options and as a result are often purchased in multiple quantities. 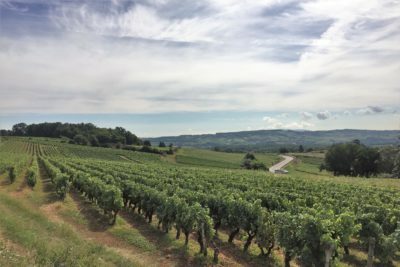 This allows greater flexibility as the market progresses for example, if you buy one case of Chateau Lafite Rothschild and the market surges upwards you are faced with a dilemma – should you sell or hold out for a better price? If you were to purchase two or three of cases of the same wine you would have the freedom to sell one case at the current price and hold the other one or two back to see if the market continues on its upward trajectory. If you are aiming to purchase specifically for an extended hold term we would tend to recommend solid ‘Blue Chip’ wines, such as First Growth Bordeaux and top flight Pomerol and Burgundy. These are wines that have a track record of being traded for decades and have managed to build a reputation in the fine wine marketplace as tried and tested brands. If you study the growth profiles of this type of wine over extended hold periods the results can be staggering. The fine wine market has had a fairly bumpy ride in recent years but even taking the downturns of 2008 and 2011 into account these wines have still managed to show impressive capital growth. We always ensure that we have a wide spread of wines available to our Clients from different vintages, territories and varietals. Some of these wines are better suited to long term capital growth than others, so if you would like to explore the benefits that an extended hold term can offer please contact your Portfolio Manager who will be happy to talk you through your options.